Hi there! I'm Kathryn but most people call me Kat and I'm from rainy Manchester. I started my little lifestyle blog in July of last year and I'm obsessed with all things Lush! I've actually had the thought of starting a blog on my mind since I was around 16, that was when I got into following bloggers and YouTubers. Last year I decided that it was time to take the plunge and create one! Best decision ever. Hmm, what does blogging mean to me? It's like an escape for me. It's been years since I have had a hobby that I was fully invested in, and now it's sort of become my life. I regret nothing. The friends I have made in the blogging community are what keep me motivated. It's amazing to see everyone do so well, something that I want to be a part of. I find having a little blog reading session keeps me inspired. This is always such a difficult question to answer as I have too many favourite bloggers. Like everyone I follow, I love. I will narrow it down to my favourite three as of now which are Sophie from Shy Life Living, Megan from Megan Jean and Robyn from Phases of Robyn. Not only are they all killing it right now in the blogging world, they're all amazing friends. I also obsess over their photography, I have serious Instagram envy. When I'm not blogging I am most likely sleeping or eating. I wish that was a joke, I'm always doing something blog related. My life isn't very interesting, sorry haha! I would say I'm most proud of how quickly my blog has grown. I worked with some amazing brands within months of starting my blog and I know you shouldn't care about numbers but I'm pretty frickin' proud of how much my social media followings have increased. 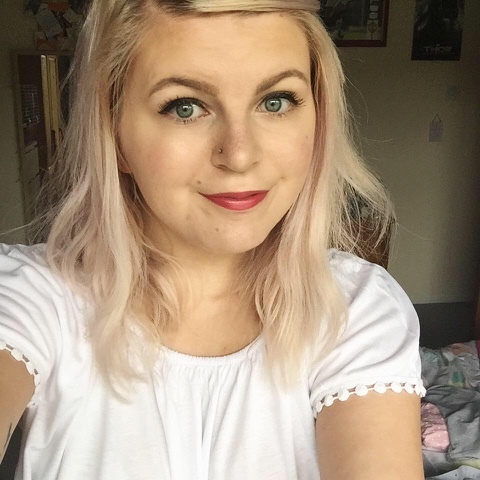 This is tricky but I think my favourite one is my Winter Morning Routine (http://www.chaptersofkat.co.uk/2015/12/winter-morning-routine-blogmas.html). It's a quick read but I just really like how it all came together once I had finished it. My least favourite is probably every single one of those bloody tag posts. I will never do one again unless I'm actually interested in what they're about haha! I'd say just go for it! Be you, write things you would genuinely like to read and dive right in. OH and also, get involved in the blogging community. You'll meet some of the best people and you probably won't look back! A massive thank you to Kat for taking part in my blog series! I bloody love Kat so much .. She's one of my absolute babes! Fab interview girly ! !